PODCAST Welcome to our unofficial High Line audio walking tour! 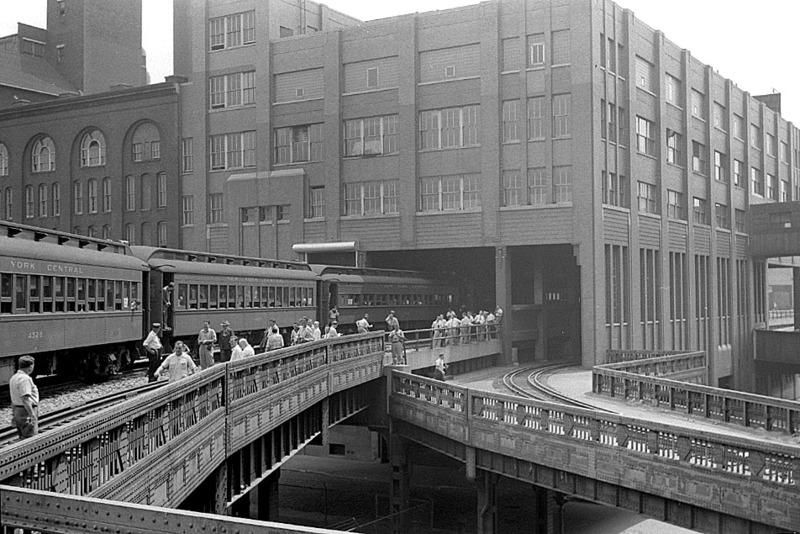 In our last podcast (episode #135), we gave you a history of the High Line, the one-mile linear park situated atop a stretch of abandoned elevated railroad tracks along the West Side. This time, I’ll take you on a tour along the High Line itself. 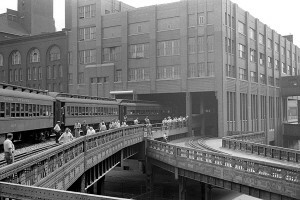 This will incorporate some history of the elevated line itself, but it’s geared towards describing the history of the surrounding neighborhoods. 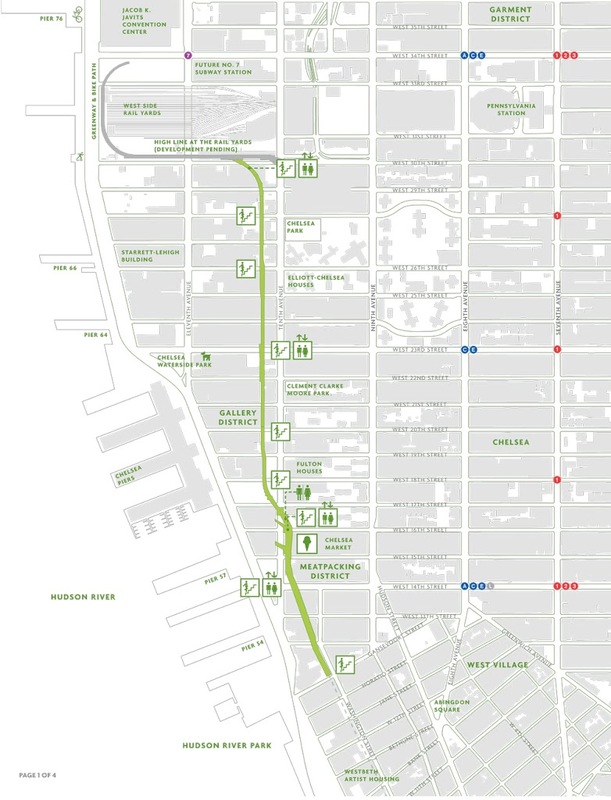 This is intended to be listened to as you walk along the High Line, beginning at the park’s southern entrance at Washington Street and Gansevoort Street in the Meatpacking District. We’ll end at 30th Street. This tour will last a little over an hour or so — depending on what speed you choose to enjoy the High Line. But take your time! 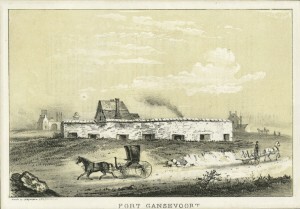 Along the way, I’ll share tales from almost 200 years of history, from the early days of Fort Gansevoort during the War of 1812 to the underground club life of the 1990s. Featuring New York stories of the Titanic, the Lusitania and the Manhattan Project. And starring a wild array of people who have influenced these neighborhoods, including Abraham Lincoln, Cornelius Vanderbilt, Drew Barrymore, REVS, Cass Gilbert, a feisty lady named Tillie Hart, and a whole lotta people dressed like Stevie Nicks. ALSO: You might want a handful of Oreos after you’re done. To get the walking tour, simply download it for FREE from iTunes or other podcasting services, subscribe to our RSS feed or get it straight from our satellite site. On a related note: Are you looking for our walking tours? Check out Bowery Boys Walks for our new walking tours, developed around Bowery Boys episodes! 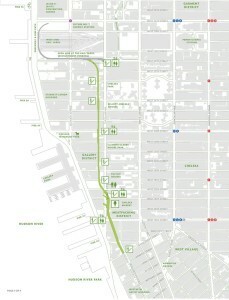 A map of the High Line, courtesy the Friends of the High Line. 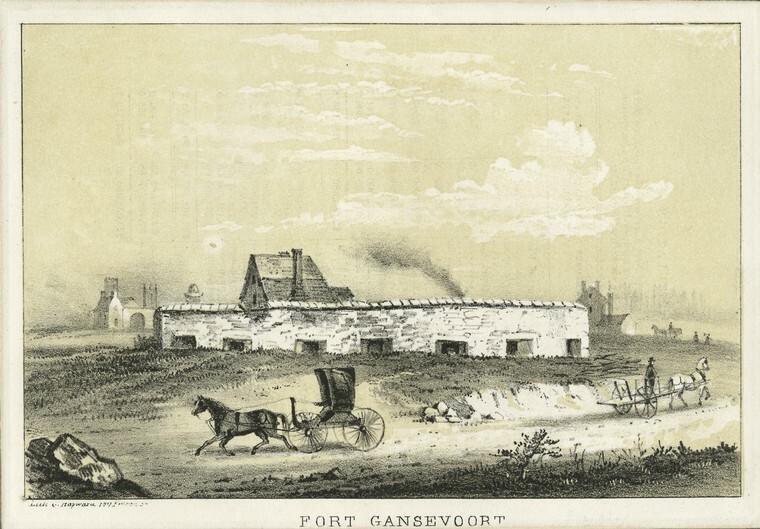 This walking tour follows this path directly from the southernmost entrance at Gansevoort Street, all the way up to W. 30th Street. If you’re not able to walk the High Line anytime soon, never fear! Google Maps actually allows you to ‘walk’ the High Line. Although you won’t experience any vehicular traffic on this tour, please be aware of other visitors to the High Line as you listen. Stand over to the either side as you listen. There are some narrow paths, uneven walkways, benches and other nooks built into the surface of the High Line, so watch your step. At the end of the tour I mentioned a Chelsea gallery tour that also provides a great perspective on the neighborhood while leading you through the scene’s best art shows. You can find more information about tours at New York Gallery Tours. In addition to the Chelsea scene, they also provide guided tours of the Lower East Side and Upper East Side art scenes. CORRECTION: There is a very hilarious mis-statement near the end of the show. The Morgan Processing and Distribution Center is 2.2 million square feet, NOT 2.2 square feet. That would be the size of a flower box, I think. I’ve added the correction to the podcast show notes.